Adapted to diverse planting conditions. 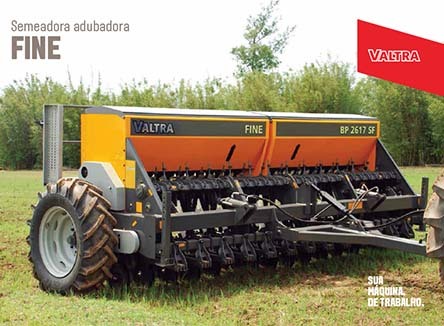 When you want to plant and harvest successfully, Valtra has the best solution for you. 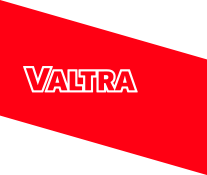 Valtra planters incorporate high technology and are suitable for the most diverse planting conditions. 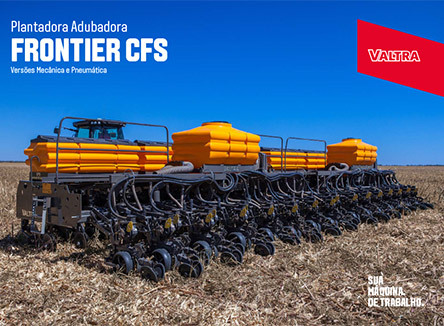 Our innovation is the Frontier CFS planter, one of the main features of which is the central seed box, the largest in its category at 1,450 liters, which streamlines its supply. Another attraction is the Variable Rate system, a technology that allows the creation of a specific program to determine the distribution of seeds and fertilizers according to a recommendation map. This new model offers high technology and its goal is to combine ruggedness to confront the most adverse field conditions with a high fertilizer and seeds ratio, thus allowing long working hours without stoppages. 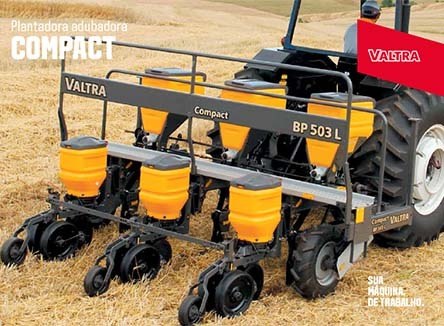 The Valtra planters aimed for summer crops are distributed in the Compact, HiTech Compact and HiTech series. The machines in the Compact Series are perfect for family farming, with the highest technology to multiply the yields from small properties in summer crops. Available from 2 to 6 lines with spacings of 40 to 90 cm, these planters meet your needs with maximum performance and unmatched yields. 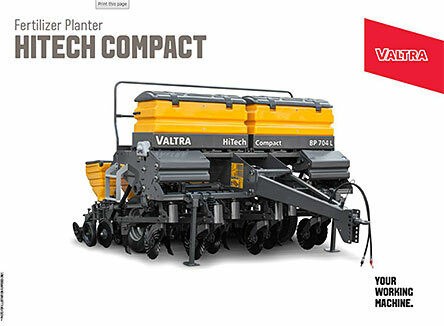 The drag planters in the HiTech Compact Series are available in 3 to 11 planting lines and are the most cost-effective machines for small and medium-sized properties. Developed to be customized according to your needs, the HiTech Series adapts to diverse growing conditions. Available in 3 to 17 lines, the planters in this series are accurate and efficient for summer crops. 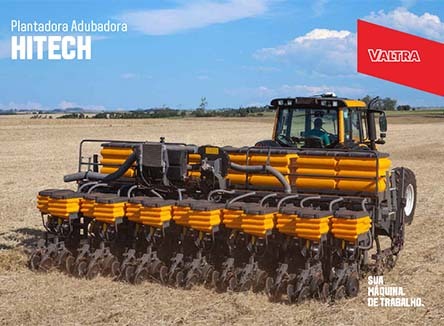 This series also allows you to work with sets of up to 34 lines with a Tandem header, and is thus prepared to meet the needs of large tracts of land, using technology, ruggedness and efficiency to maximize the profits of large-scale agriculture. For farmers who prefer early fertilization, the Hitech BP - S Series version is the seeds-only option, with the same precision and versatility as the HiTech series, featuring a high seed capacity to make the working day even more efficient.